Remko J. H. Scha is a professor of computational linguistics at the faculty of humanities and Institute for Logic, Language and Computation at the University of Amsterdam. He is also an internationally renowned composer and performer of algorithmic art. He has also made recordings of music which has been generated by motor-driven machines. 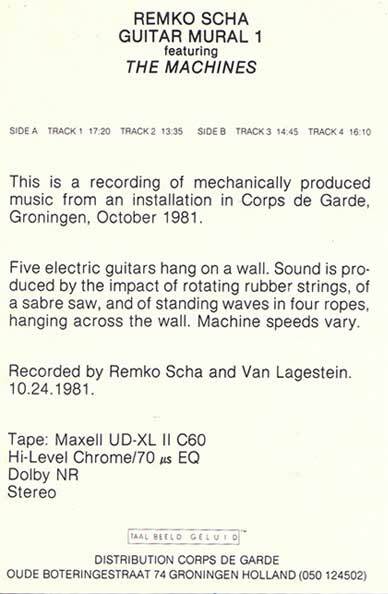 One example of this type of music is his 1982 album of electric guitar music,"Machine Guitars", on which all guitars are played by mechanized saber saws, without human intervention. 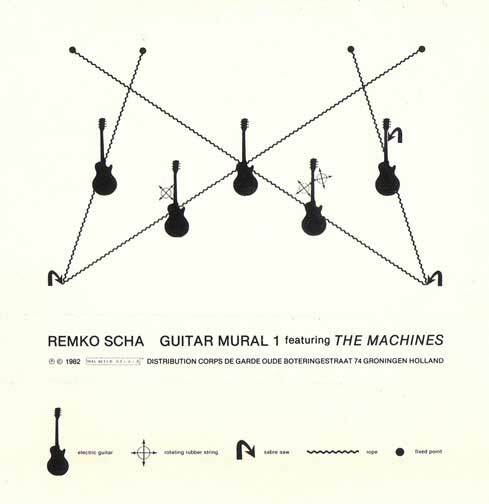 For the last track the guitar is played by an automated rotating wire brush.